I really like the structure but back ground Pink colour was not good for me…Can you please tell me how to delete that? some one can help me? How can I hide from page de blogroll, blognews etc? I have to create a website. the design tips is useful for me and also people. The companies registered under the FCRA, need to notify to the Ministry about any change in name of the company, its Registered Workplace and aims and things within 30 days of the applicable change. Similarly, prior permission will be required from the stated the Ministry for any change in the designated bank or replacement of more than half of members of the governing body at the time of its registration under the FCRA. The management ought to be cognizant of numerous provisions of the FCRA and must strictly follow the same otherwise they might face a number of extensive punishments under the Act. Foreign Contribution Regulation Act (FCRA) was enacted in the year 1976 and just recently, customized in the year 2010 with the prime goal of controling the approval and application of foreign contribution and foreign hospitality by associations and individuals working in the important areas of nationwide interest. The focus of this Act is to ensure that the foreign contribution and foreign hospitality is not utilized to impact electoral politics, public servants, judges and other people working in to the essential areas of national interest viz reporters, printers and publishers of newspapers, etc. the post was very colorful and it was very useful for me. the site was colorful and it was also more useful. I am a newbie in blogging. i love the template. i want to know how to edit it. I want to add my twitter and facebook page link to the template and also the about, contact and download and report links. I am expecting your reply soon. I am starting new blog and I saw this theme! I looks very nice! I will use it! 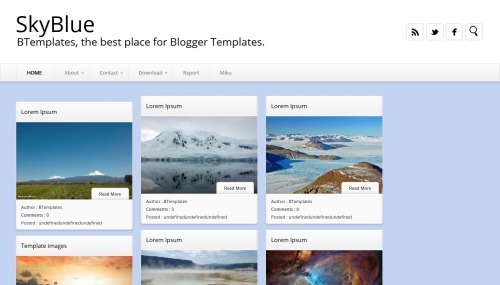 best theme for blogger really amazing. Thanks for sharing! This template very cool! Very nice site. i like your site. thaks for sharing. It is an amazing theme. But What does Miku Means. Sky Blue is easy to see that the sky is blue. Have you ever wondered why? A lot of other smart people have, too. And it took a long time to figure it out! The light from the Sun looks white. But it is really made up of all the colors of the rainbow. thanks man keep posting i like your website.. Positive site, where did u come up the information on this posting? I’m pleased I discovered it though, ill be checking back soon to find out what additional posts you include. Truly this is awesome. I have used it on my blogger site. Thanks a lot.